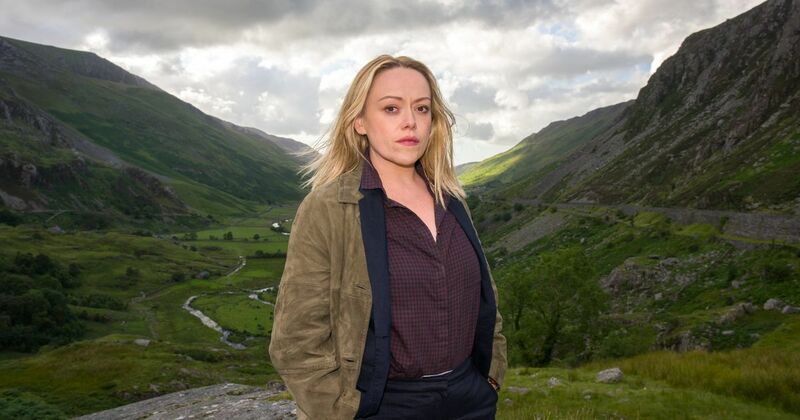 IT seems nowhere is immune from TV murder and it’s the turn of Wales for a crime drama this week. Hidden is a psychological thriller that starts with the discovery of the body of a missing young woman in a quarry. Over the eight episodes there are a series of interweaving stories all linked by a single case. “It’s not a classic detective drama in that it deals with the whodunit and the police catching the bad man,” says Sian Reese-Williams who plays the officer in charge, Detective Inspector Cadi John. “It’s more of a personal drama. It takes time to delve into the lives of everybody that gets caught up in the crime – the detectives, the victims, the family of the victims and even the bad guy. You’re trying to understand him. “It really plays with the idea of nature versus nurture and almost tries to twist you into sympathising against your better judgement. It’s exciting and thought-provoking. And Sian says her copper character was just a bit different. “Cadi doesn’t worry too much about looking perfect and doesn’t always eat the right things. The series is set in north-west Wales and Sian loved filming around the wild scenery of her homeland. “Oh, it’s gorgeous,” she adds. “The landscapes and scenery were amazing. “The mountains were almost oppressive on certain days when the weather was appalling, and then that beautiful openness of the Menai Straits. Hidden, BBC 4, Sat, 9pm.